Any professional craftsperson worth their salt must have the very best tools for their trade. In our upcoming content update on March 13, players can take part in unique quest lines for the Alchemy, Blacksmithing, Enchanting, Engineering, Inscription, Jewelcrafting, Leatherworking, and Tailoring professions to earn a new Tool of the Trade that complements their craft. 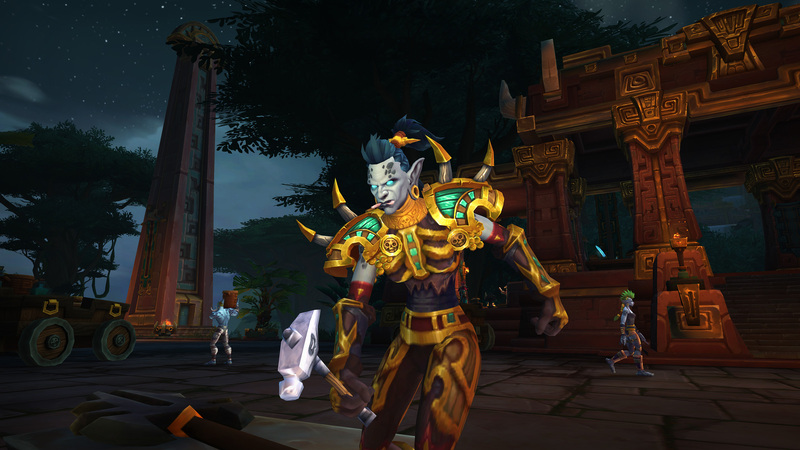 To get started on your profession quest line, you’ll need to have reached level 120 and be at skill level 150 (Kul Tiran or Zandalari) in your chosen crafting profession. To get started on your quest, speak with the Alchemy profession trainer Clever Kumali in Zuldazar or Elric Whalgrene in Boralus. 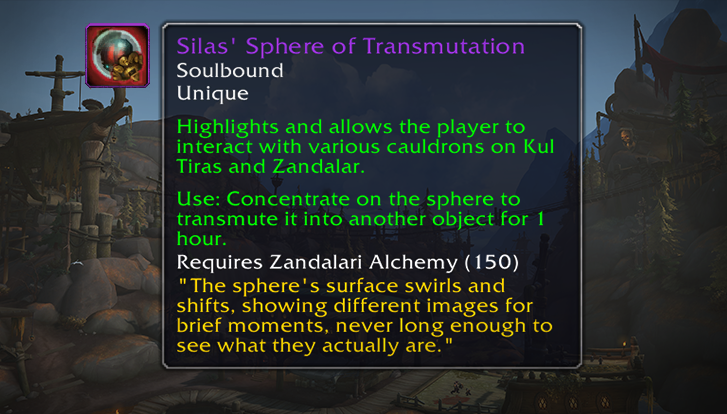 Once you complete the quest line, you’ll receive Silas’ Sphere of Transmutation. To get started on your quest, speak with the Blacksmith profession trainer Forgemaster Zak’aal in Zuldazar or Grix “Ironfists” Barlow in Boralus. 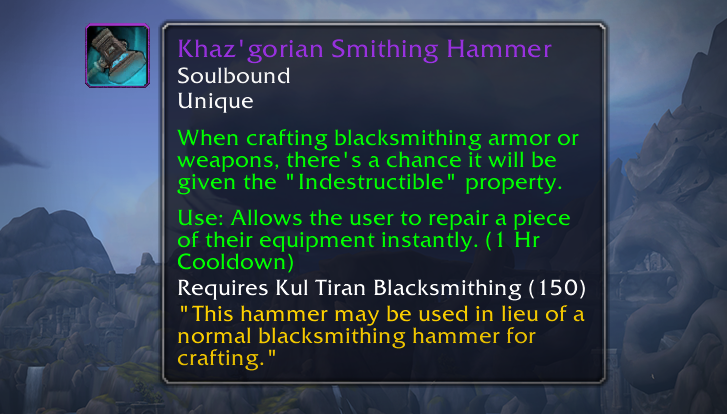 Once you complete the quest line, you’ll receive Khaz’gorian Smithing Hammer. To get started on your quest, speak with the Enchanting profession trainer Enchantress Quinni in Zuldazar or Emily Fairweather in Boralus. 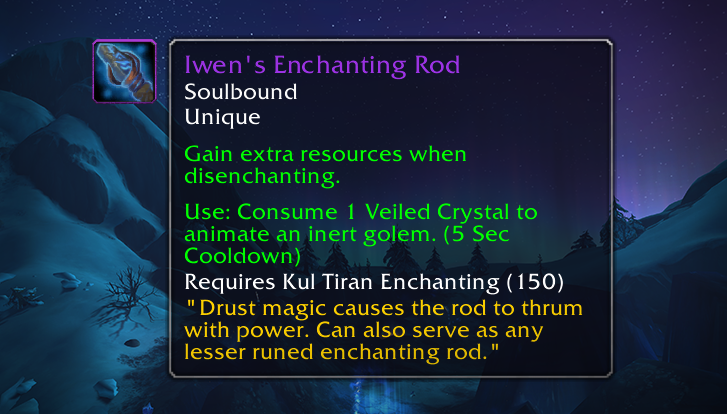 Once you complete the quest line, you’ll earn Iwen’s Enchanting Rod. To get started on your quest, speak with the Engineering trainer Layla Evenkeel in Boralus or Shuga Blastcaps in Zuldazar. 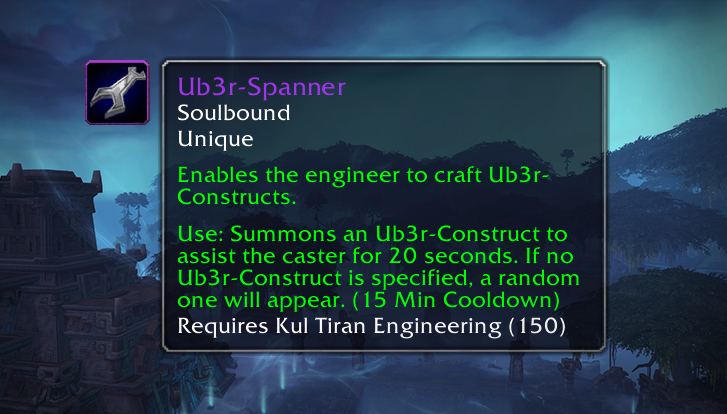 Once you complete the quest line, you’ll receive the Ub3r-Spanner. Enables the Engineer to craft Ub3r-Construct modules, which when applied will allow the engineer to summon that specific Ub3r invention. Module lasts 2 hours. To get started on your quest, speak with the Inscription trainer Zooey Inksprocket in Boralus or Chronicler Grazzul in Zuldazar. 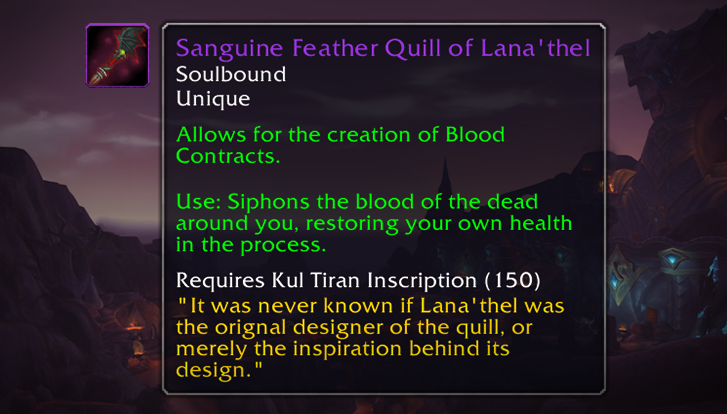 Once you complete the quest line, you’ll receive the Sanguine Feather Quill of Lana’thel. To get started on your quest, you’ll interact with a book near the Jewelcrafting trainer Samuel D. Colton III in Boralus or Seshuli in Zuldazar. 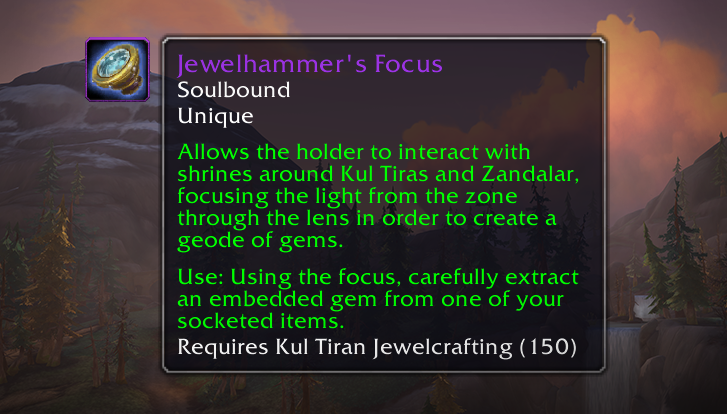 Once you complete the quest line, you’ll receive the Jewelhammer’s Focus. To get started on your quest, speak with the Leatherworking trainer Cassandra Brennor in Boralus or Xanjo in Zuldazar. 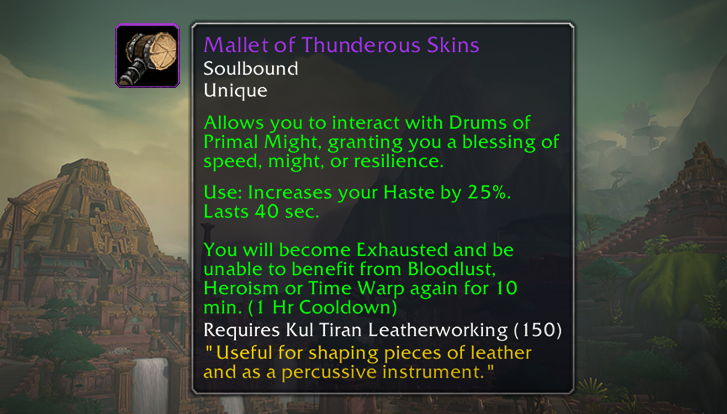 Once you complete the quest line, you’ll receive the Mallet of Thunderous Skins. To get started on your quest, you’ll interact with Delormi near the Tailoring trainer Pin’jin the Patient in Zuldazar or Daniel Brineweaver in Boralus. 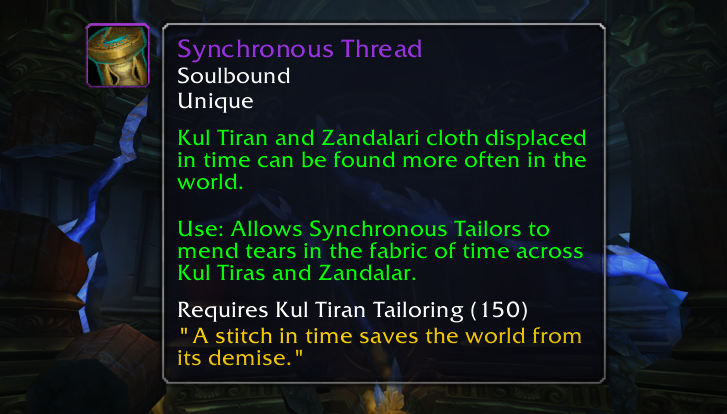 Once you complete the quest line, you’ll receive Synchronous Thread.